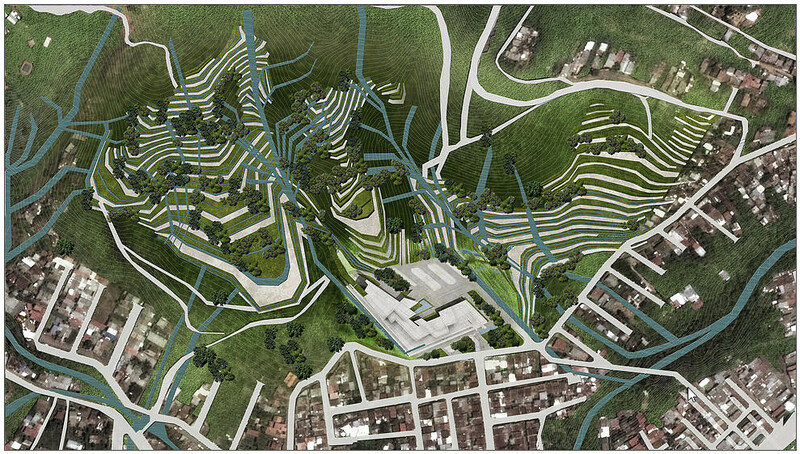 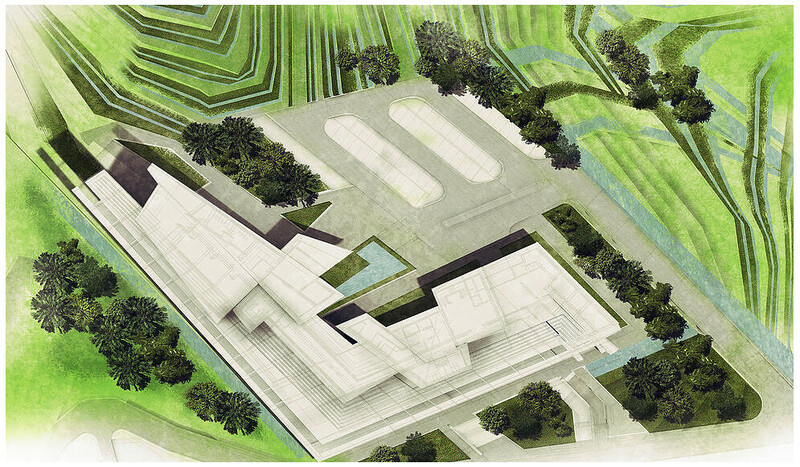 This project created by the young Costa Rican architect Juliana Vargas focuses on the recovery system of a landfill area. 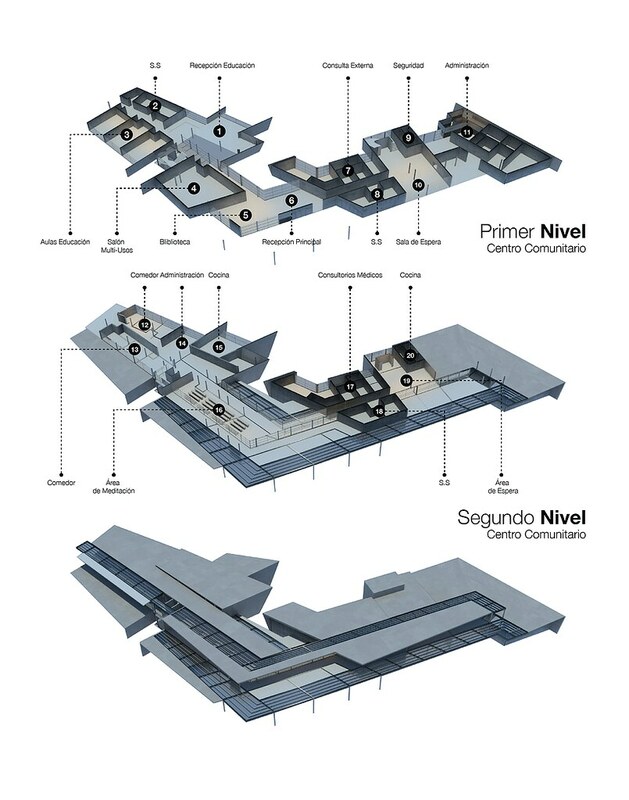 The project shows a transformation of a potentially degraded and marginalized area into a beneficial area for the community. 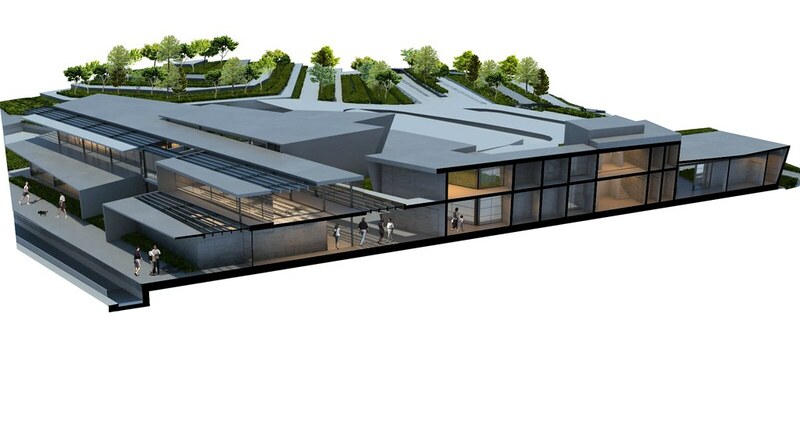 The proposed building takes into account the natural slope of the land and is created with a light structure with only two floors in high. 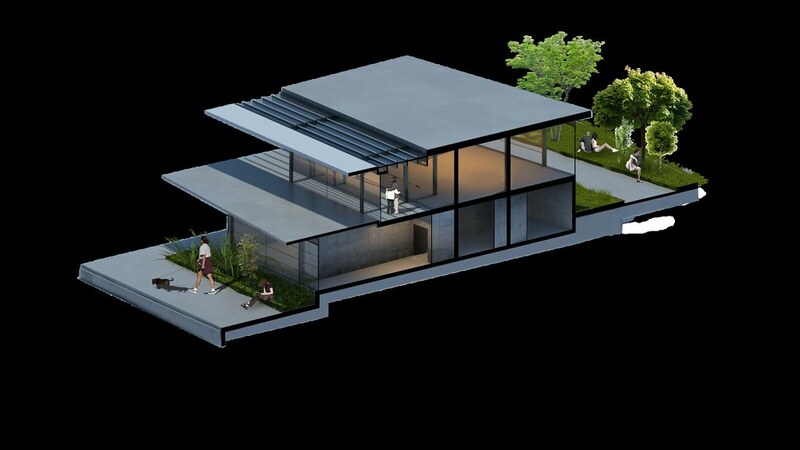 To achieve a lightweight construction that integrates into the pleasant garden surroundings, glass walls prevail as a metaphor for transparency: the landfill is no longer something to hide but an activity center that everybody can contemplate and enjoy. 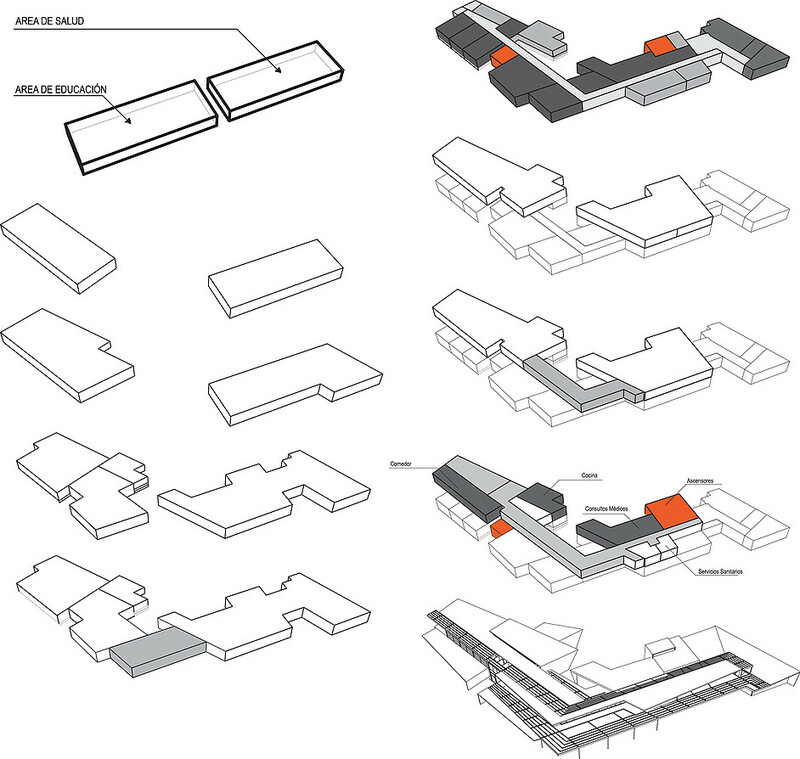 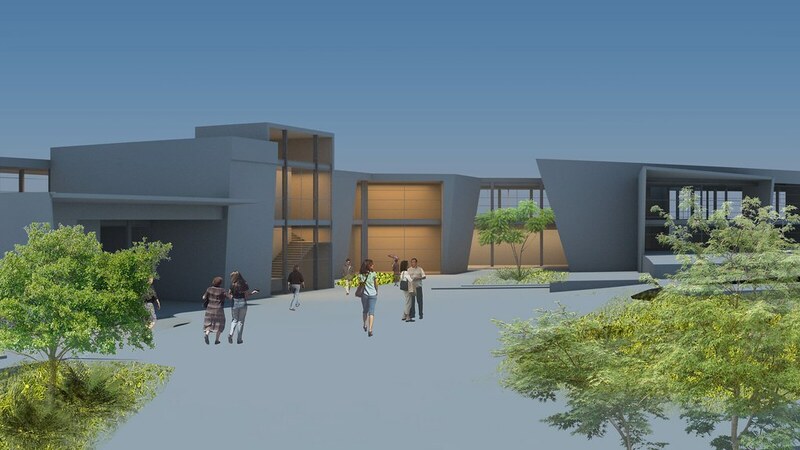 Architectural design includes two services to the community: health and education. 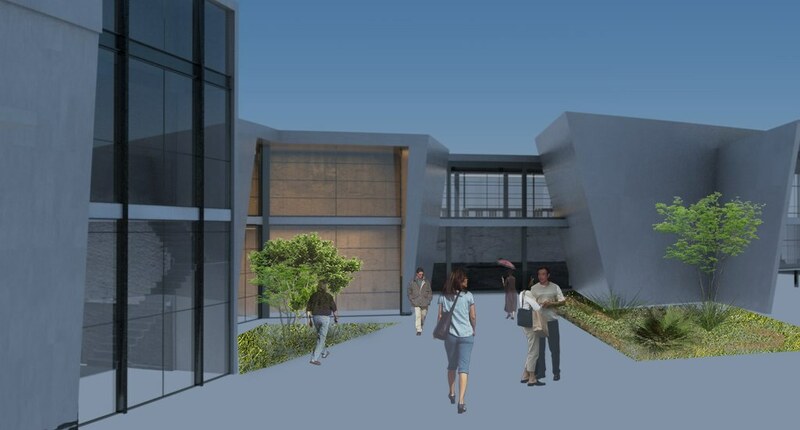 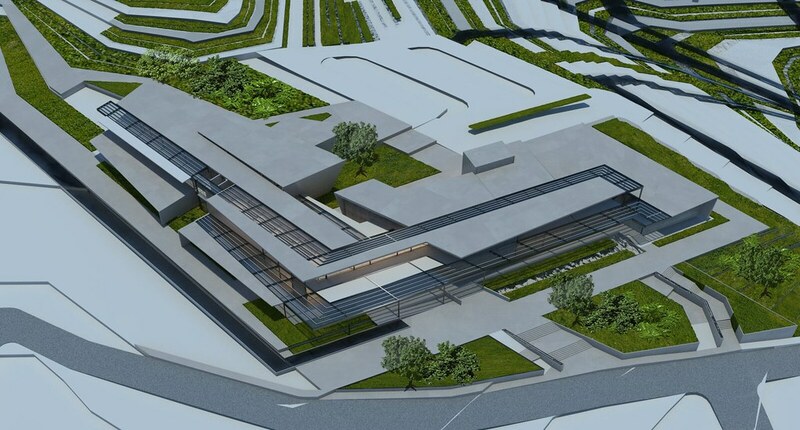 In addition to doctor’s offices, in the education area there is room for classrooms and a library, including a multifunctional room, a reception and separated waiting rooms, administration offices, a security room, and a dining area. 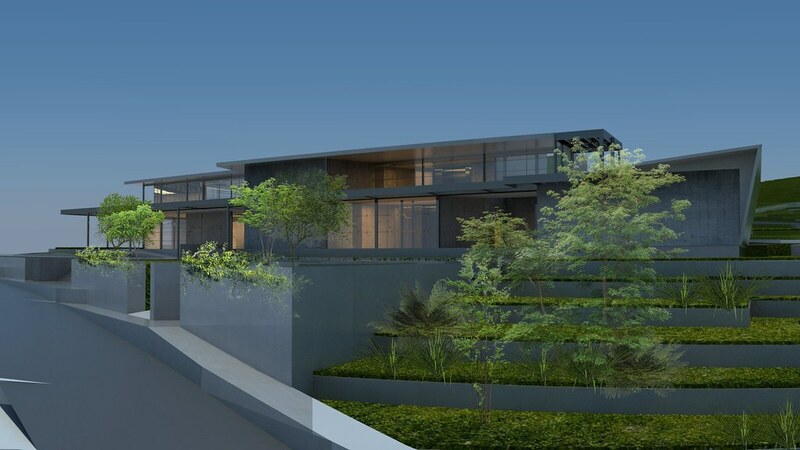 Juliana stressed that the use of VisualARQ’s Curtain Wall feature was very useful because in this project she used the transparent outer walls extensively. 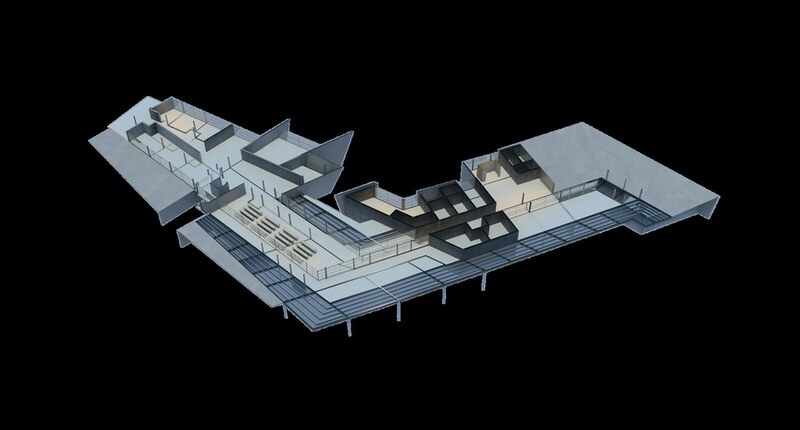 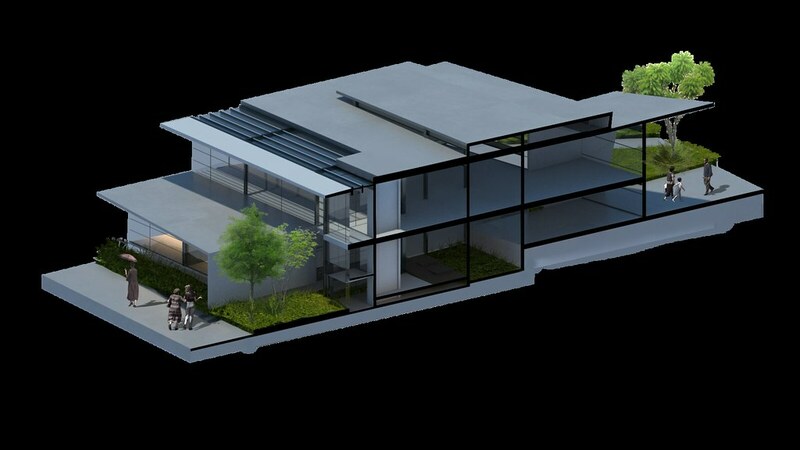 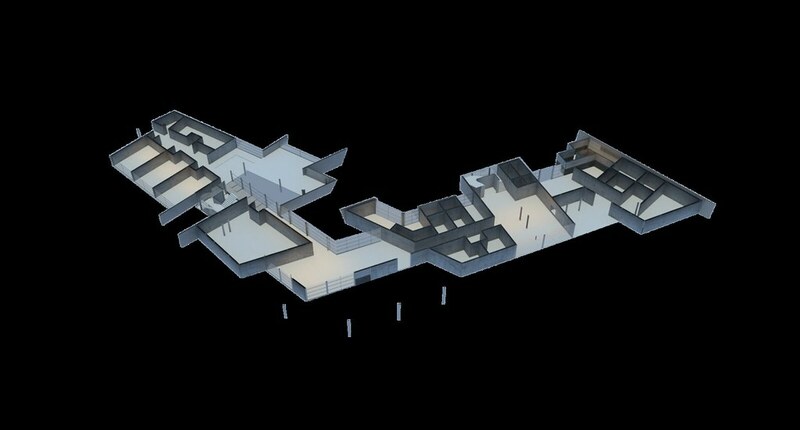 In addition, VisualARQ helped her show the complex path of the project through views and sections in 3D.